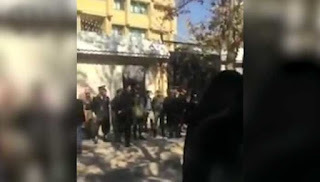 یکی از فرازهای مهم و به عبارتی شگفتیهای دوران رهبری امام‌رضا (ع) موضوع عزیمت امام به خراسان و پذیرش ولیعهدی مأمون بود. واقعیت این است که این حرکت امام‌رضا یکی از برجسته‌ترین فرازهای تاریخ شیعه‌‌ است و تأثیرش با توجه به حساسیتهای خطیر آن، به‌حدی بود که آن را با قیام عاشورا البته در فازی دیگر، قیاس می‌کنند. همانطور که خاندان بنی‌امیه، بعد از عاشورا دیگر خواب خوش نداشتند و نهایتا با شعار خونخواهی عاشورا و اهل بیت پیامبر، سرنگون شدند. خلفای عباسی هم پس از شهادت امام رضا همین مسیر را رفتند، تا اینکه درسالیان بعد، خاندان علوی آل‌بویه از گیلان با تصرف بغداد، خلافت عباسی را از اقتدار انداختند و خلفا را به والی خودشان تبدیل کردند. یك تابلو در پیش روی امام این بود كه نپذیرد و مأمون را محکوم کند که در آن صورت، در تضاد بین جناحهای بنی‌عباس که خونخواهی امین را می‌کردند، به‌نفع آن جناحها تمام می‌شد و در آینده، این ابهام در میان مردم باقی می‌ماندکه امام، خلیفه علوی را در مقابل آن جناحها حمایت نکرد. چرا که همانطور که اشاره کردیم، مأمون زیر نقاب دوستی با اهل بیت و بر ضد دستگاه خلافت، پنهان شده بود و برای مردم، ماهیتش روشن نبود. کمااینکه خمینی از روز اول انقلاب، نیات پلید خودش را برای مردم روشن نکرد و با دجالگری می‌گفت من حکومت نمی خواهم و یک طلبه بیشتر نیستم, ولی دیدیم, وقتی به قدرت رسید چگونه آن راگرفت و چه بلائی به سر مردم آورد. غارت شدگان موسسه پدیده شاندیز روز سه شنبه همزمان با سفر آخوند روحانی به مشهد مقابل دادستانی رژیم تجمع اعتراضی برگزار کردند شمار خانمهای شرکت کننده در این تجمع اعتراضی چشمگیر بود . تجمع کنندگان یکصدا شعار می دادند و خواستار اموال بغارت رفته خود شدند. در ادامه حرکتهای اعتراضی اقشار مختلف مردم، روز سه شنبه در اردبیل غارت‌شدگان مؤسسه حکومتی کاسپین، در کرمانشاه غارت شدگان مؤسسه حکومتی مکتب فرش و گلیم، در بجنورد کارگران شهرداری ، در اهواز كارگران بازنشسته هفت تپه، در شیراز مردم شهرك گويْم و در هندیجان، کشاورزان این منطقه، تجمع های اعتراضی برگزار کردند. کشاورزان هندیجان جاده هندیجان – دیلم را بستند تا با اعتراض به خشک شدن رودخانه زهره که زندگی آنها را بر باد داده صدای اعتراض خودرا به گوش همه برسانند. 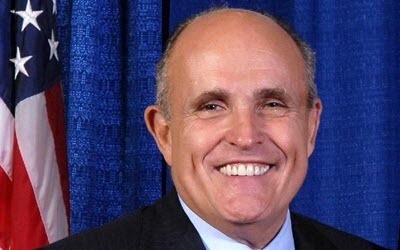 In a stinging rebuke to Daniel Benjamin’s article critiquing the Mujahidin e-Khalq (MEK), and, by extension, the potential choice of Rudy Giuliani as Trump’s secretary of state, former Democratic Senator for New Jersey, Robert Torricelli, argued that Giuliani had served the U.S. well by participating in a broad coalition of American policy-makers committed to the MEK as a legitimate democratic opposition to the current Iranian regime. Torricelli explained the history of the MEK, and concluded that “the MEK did take part in legitimate political and military action against the Iranian regime.” There is no evidence, he said, to support Benjamin’s assertion that the MEK committed terrorist acts against Americans or Iranians. Torricelli pointed out that Giuliani was thanked by “Senator McCain, Secretary Clinton, Deputy Secretary Blinken and John Kerry’s own personal representative on the MEK, Jonathan Weiner,” when he paid his own transportation costs to be part of a delegation to the MEK’s leader, Maryam Rajavi, to persuade her to assist U.S. diplomacy in 2012. NCRI - The factional feuding over the bank accounts of the Iranian regime’s head of Judiciary, Sadegh Larijani, continues. “According to a written report by Police, the accused resisted arrest by the agents on Sunday night November 27 and prevented implementation of the order by making noise. He then disobeyed the officers and by sending SMS messages and publishing (the news) in websites and local news channels and republishing in counter-revolutionary websites asked for help and presence of people in front of his house which somehow has been a kind of inciting people to engage with the agents…,” he added. “Mahmoud Sadeghi’s actions of resistance against officers and inciting people for gathering and presence in front of his house is disruption of public order and considered an offence which is added to his previous charges and he should be held accountable,” he added. 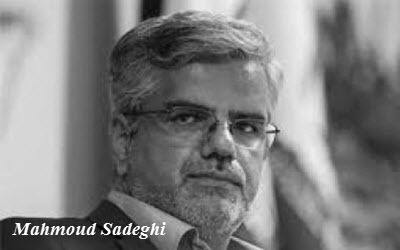 Mahmoud Sadeghi, who recently called for publishing a report on the Bank accounts of mullah Sadegh Larijani, escaped the agents who were dispatched to his home to arrest him at night on November 27. OPEC members are expected to hold a meeting in Vienna on November 28 to address and discuss the issue of reduction in oil production. Last month the organization had an oil production of nearly 33.65 million barrels per day. Two months ago, OPEC members tacitly agreed in a meeting in Algeria to reduce their production to (between) 32 million - 33 million barrels. The issue will be discussed at the upcoming OPEC meeting. 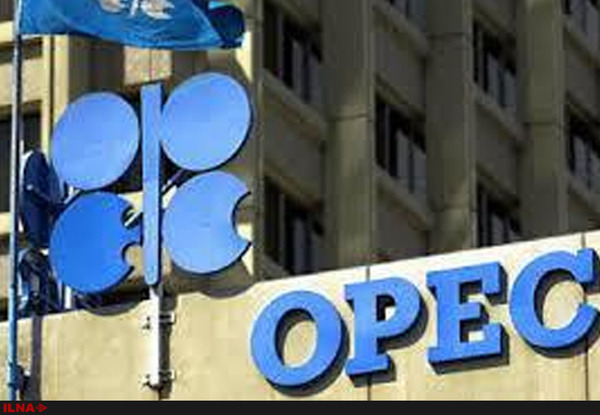 The regimes of Iran and Iraq, however, in a non-compliance with OPEC have already said that they cannot reduce their production. The Iranian regime is the main ratter on the OPEC’s path to set a fixed overhead for its production. According to Reuters, quoting OPEC officials, the organization expects non-member states to reduce their production by 880 thousand barrels per day. One of the most important oil producing countries outside OPEC is Russia. 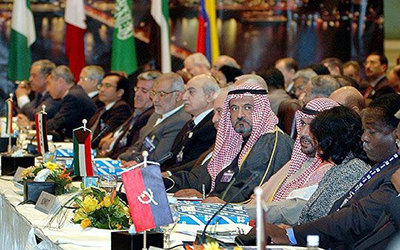 Russia and Saudi Arabia each have 11 percent share of the total oil production in the world. 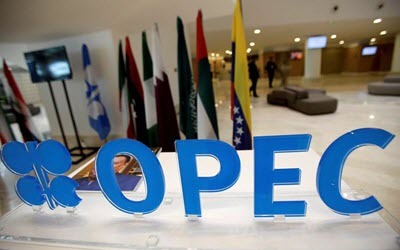 Russia is one of the countries that strongly support OPEC oil production cuts and said that it will accompany OPEC in the reduction of oil production. World oil prices which were over $115 in the first half of 2014 fell below $30 earlier this year. Subsequently, following reduction in oil production by OPEC non-member states and negotiation among OPEC members, oil prices went up slightly and now fluctuate between $45 and $50 per barrel of oil. The main cause of falling oil prices is the dramatic global surplus oil production over the past three years. 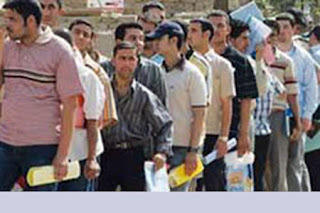 NCRI - On Monday November 28, a state-run news agency admitted that the number of graduates seeking jobs in Iran is three times more than others. NCRI - Al-Riyadh Newspaper printed in Saudi Arabia, published a report on Monday 28th November 2016 regarding the summit held in Paris. The report reads:"the president of the National Council of Resistance of Iran (NCRI), Maryam Rajavi stated that the US policy was disastrous for the Iranian people over the past 16 years and this policy has generously contributed to the Mullahs' regime." A conference entitled "The call to Justice; prosecuting the perpetrators of crimes against humanity in Iran and Syria" was held in Paris and Maryam Rajavi said that the people, the Resistance of Iran and the countries of the region expect US government to revise its Policy since a new government is taking the office. Many Iranians, prominent political and legal figures and parliamentarians participated in the conference from France, Europe and other countries of the region as well as the authorities of the Syrian opposition. 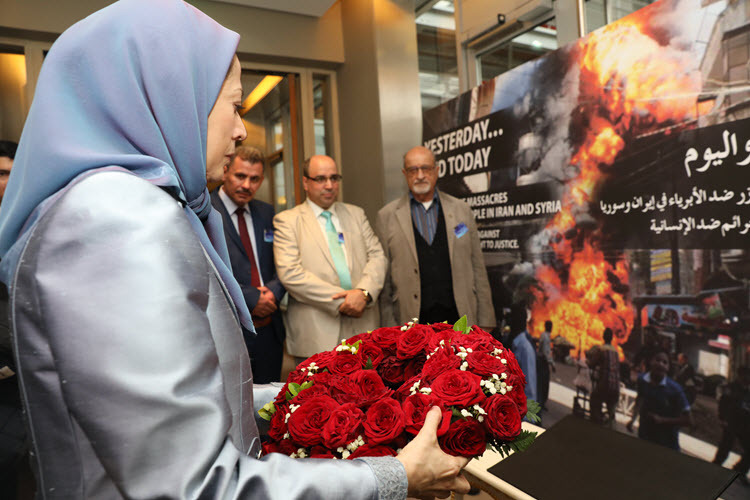 Maryam Rajavi stressed that the war and insecurity particularly the issue of ISIS will not be resolved in the current condition unless the Iranian regime ends it’s meddle in the region and especially in Syria. Any partnership with the Mullahs for dealing with ISIS is disastrous since it strengthens the regime and its terrorism and ISIS will gain a political and social power as well. The people of Iran resent the dirty war that is going on in Syria however by the nonsense words such as defending the shrine Khamenei tries to justify the bloodsheds and the occupation of Syria. The six world powers granted Iran the unjustified privileges during the nuclear talks. They also ignored the resolutions of the Security Council which were not implemented by the Iranian regime. Nevertheless, the nuclear deal produced an inverse result although it was the only opportunity for the Iranian regime to remove the crises. The increasing hunger and indigence have shattered people's life. 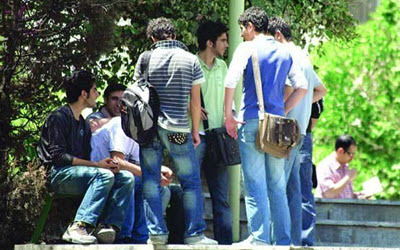 The internal gangs do not support the Mullahs as before and they cannot be controlled anymore. In addition to that, they also have no power to impose against the social protests. The guardianship of the Islamic Jurist has reached a deadlock today. Under such circumstances, it is easier to dismantle the current regime and to establish a pluralist Republic. Maryam Rajavi said:"we, the people of region expect the international community to halt its policy of giving concession to the Mullahs' regime and to stop being silent and inactive towards the crimes of the Iranian regime in the region. The international community also has to respect the demands of the people of the region as well as the struggle of the Iranians for achieving freedom." Al-Riyadh Newspaper also wrote:"it should be noted that the French and Colombian figures, the judge of the International Criminal Tribunal for the former Yugoslavia, judge of the International Criminal Court (in office till 2003) and the Mayor of the 5th arrondissement of Paris participated in the conference. Some members of the Syrian opposition had a speech about the bombings and crimes which are committed by the brutal regime of Assad. They also discussed that Assad's regime is considerably supported by Russia and the Iranian regime. A number of political prisoners who have left Iran recently talked about their experiences and observations regarding the widespread repression exerted on the Iranian people. 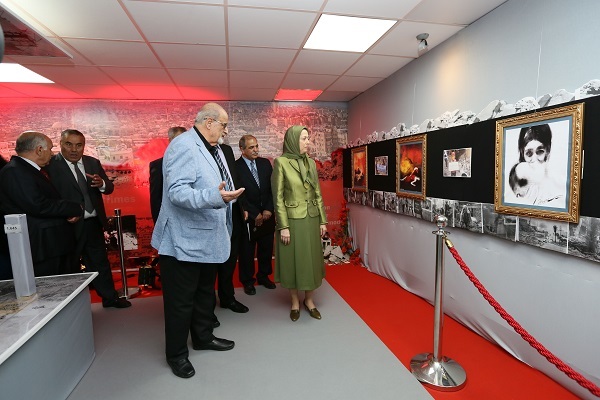 At the end, a photo exhibition was held about the horrible massacre of 1988 and the execution of 30 thousand political prisoners." "As a candidate, Trump rallied against the nuclear deal with Iran as 'one of the worst deals ever negotiated' and pledged to renegotiate on terms that favor the United States and its allies. 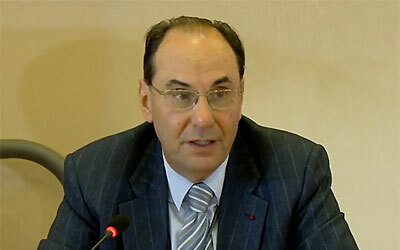 He has also cast himself as a strong opponent to Islamic extremism in very forceful terms, another indication that the U.S. relationship with Iran could be in for big changes", wrote Dr. Vidal-Quadras. Even without a complete renegotiation of the deal, there is much that Trump can still do in combating the Iranian regime's nuclear ambitions and sponsorship of extremism in the Middle East and around the world, he added. "The first action a Trump administration can undertake is simply enforcing the rules on the books. The Iranian regime has violated international agreements and raised concerns about its ballistic missile program. This flagrant violation must come at a price. Trump can put a halt to the huge trade deals between American companies and Iran and can introduce new sanctions accordingly. In doing so, he would send a clear message to the Iranian regime, enforce international law and lessen the threat around the Middle East." "Another action the new U.S. administration can take is to stand up against the practice of kidnapping that the Iranian regime has been using to receive ransom payments. They abducted American soldiers on a patrol in the Gulf this year and have been kidnapping American and European citizens in the past who they let languish in horrid conditions in prison until they extract their ransom. This is a technique that goes back to the Iranian revolution in 1979 and continues to be used because the American government has been paying the price instead of inflicting a price for Iran's aggression." "Another action that the new administration should take is to make it clear to Iran that the era of the impunity of its unbridled egregious meddling in the region from Iraq to Yemen, and particularly in Syria, is over. The case in point is Syria. 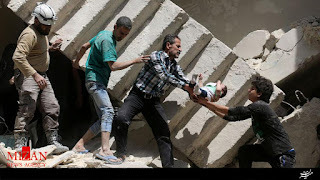 The Assad regime is guilty of a multitude of atrocities against its citizens and Tehran has been its main backer in the past five years in his slaughter of the Syrian people." "But the key action is to go where it hurts the ruling clerics the most: reaching out to Iranian people and their resistance. 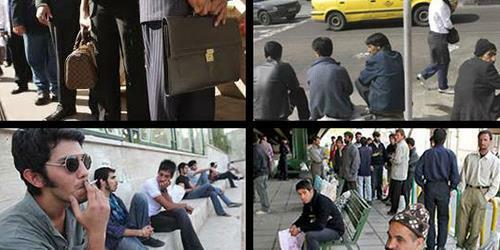 This is Tehran's Achilles heel. In a policy initiative on Iran in 2015, 40 former senior U.S. officials who held national security positions in four administrations, called for a new attitude in U.S. policy toward Iran and the Iranian opposition. They called for a new approach toward the largest, most established and best organized democratic opposition, the National Council of Resistance of Iran, led by Maryam Rajavi. The key component of the NCRI, the People's Mojahedin Organization of Iran, has maintained an extensive popular support among Iranians at home and abroad, despite a brutal repression including the execution of dozens of thousands of their activists by the regime. It must be remembered that it was the MEK who blew the whistle and revealed Iran's concealed nuclear program in 2002." "Rajavi's steadfast message to political and religious leaders around the world over a period of many years is summarized in her 10-point plan for the future of Iran, a political program that would resolve the country´s most dangerous and destabilizing challenges. The plan would restore political legitimacy through universal suffrage, guarantee rights for all citizens and particularly women and minorities, end the cruel excesses of the judiciary by re-establishing the rule of law, finish the nightmare of fundamentalist Islamic dictatorship by separating church and state, protect property rights, promote equal opportunity and environmental protections, and – last but certainly not least – seek a non-nuclear Iran, free of weapons of mass destruction." Dr. Vidal-Quadras added that President George W. Bush famously stated in his 2005 state of the union speech: "If the Iranian people stand up for their liberty, America stands with them." But in 2009, when millions of pro-democracy Iranians poured into the streets of Tehran calling for freedom and regime change, President Barack Obama didn't move a finger and let them be crushed by the tyrants. He added: "The next four years could dramatically shift U.S. policies in the world. If proactive on Iran, Trump could usher in long-term stability in the Middle East, decrease the likelihood of nuclear proliferation and contain the refugee crises. He has an excellent opportunity to restore the lost credibility of the United States in this context and the European Union should be an active partner in such an undertaking". Alejo Vidal-Quadras, a Spanish professor of atomic and nuclear physics, was vice president of the European Parliament from 1999 to 2014. He is currently president of the Brussels-based International Committee in Search of Justice (ISJ). 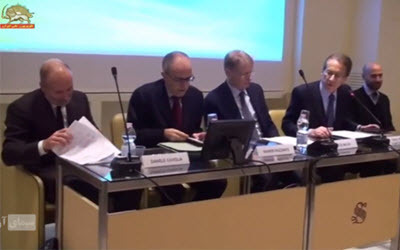 NCRI - On November 22nd 2016, a seminar was held in the Senate of Italy in various panels against the wave of executions in Iran. During the seminar, the speakers rejected any appeasement and economic transactions with the Mullahs' regime which holds the world record in the number of executions. The participants also called for a decisive measure against the waves of executions as well as Iran's terrorist meddle in the region. At the beginning of the seminar, the member of the Italian Senate, Senator Lucio Malan stated: “the human rights situation in Iran has deteriorated and this is not worthy of our country to greet and welcome the representatives of such regime. I am glad that the Italian Senate responded to our call." The former Italian Foreign Minister, Giulio Terzy also said: “the main part of the economy is managed by the Iranian Revolutionary Guards and this issue cannot be positive for our country." The member of the Finance Committee of the Parliament of Italy,Daniele Capezzone said: “we defend democracy, freedom, and human rights. We have to break our silence and address the issue of human rights in Iran." Elisabetta Zamparutti from the forum "Do not Touch Cain". In her speech mentioned the 1988 mass execution of 30000 political prisoners in Iran, She pointed out that many of those who perpetrated the killing of prisoners are now in power in Iran. She also asked the supreme head of EU foreign policy to consider the issue of human rights violations in Iran and, in particular, the executions and to put these issues at the center of negotiations with Iran. The member of the Finance Committee of the Italian Senate, Senator Anna Cinzia Bonfrisco stressed: “we should not establish any relationship with a government that continually violates human rights. The president of the Italian League for human rights, Antonio Stango said, there is no such thing as the election in Iran and there are only wars among the fractions of the regime. The university professor of law, Ranieri Razzante explained how the regime is engaged in money laundering in trade relations with countries and within its territory. The professor of the international relations in Italy, Daniele Caviglia stressed that the Mullahs' regime is continuously meddling in the region and it is casting its dominance over the countries. The managing director of "Geopolitico" magazine, Dr. Luciano Tirinnanzi also contended that those who govern Iran intend to establish and develop a warmongering policy in the region. Dr. Aurelio Mancuso in his speech rejected the issue of ignoring the continuous violation of human rights by Iranian regime on the pretext of commercial relations. He stated that the executions and the widespread repression of the political opponents and women, in particular, are still going on in Iran. In this meeting, the head of "the Free and Democratic Syria" forum in a speech mentioned the complicity of the Iranian regime in killing the Syrian people and pointed out: “over the past years, more than 600 thousand Syrians have been killed and 10 million people have been displaced. There are more than 5 million immigrants from Syria." Dr. Enrico Vandini also said that the Iranian regime has spent billions of dollars to help Assad's regime and it plays a major role in killing the Syrians. “I was recently in Albania. I went to see those people with whom I had seen some time in Iraq, in Camp Ashraf, and I was extremely happy to meet some of those who were injured during the attack of April 2011. 72 of them were injured, I stood beside their beds, shook their hands, and tried to raise their moral. But recently, when I met them again in Albania, free people, they were the ones to raise my moral and I was extremely happy, because it’s a wonderful victory of the PMOI to have safely brought out those people who were trapped in Iraq for years. Believe it or not, Iraqi officials have told me in person, that a long list of them never came out of Iraq, so when I met them in Albania, free, healthy and with high morals… I thought that it is possible to achieve the impossible. Let me tell you, as a remembrance of the situation of real crimes against humanity, when I stood in the house of one of the Iraqi officials, urging him to give one word to save lives, to give one word on the telephone to the people on the ground, to his soldiers, to say “Stop it”. That’s what “stop it” would have saved a lot of lives, but he refused. I am sure, Mr Geoffrey Robertson will agree with me, that when you face a man in charge of the attack again the Ashrafis, you tell him, “please stop it, that will save lives”, he refused to do so. And as far as I am concerned, he is a criminal and he should be held accountable for that action. The reason I’m here today is to talk about what’s left to be done. What’s left to be done in the context of the justice for victims or the 1988 massacre in Iran. As you know, an association has been launched this summer with an ambitious program, which is to bring those suspects of having committing crimes against humanity, the massacres that took place in 1988, to try to identify them, to try to also identify the laws applicable, to try to identify the jurisdictions that could entertain those cases, and to try to prepare a file for the United Nations. Speaking about these issues, I would try to rather avoid it because in the presence of Mr Geoffrey Robertson, Madame Diarra, there about the people who have the priority to speak of these issues. But all I want to say is that the laws of the United Nations are progressively developing, there is a United Nations commission that is codifying and also progressively developing the law, so this is something we look forward to exploit. There is also a lot of things happening in the United Nations. We have a new secretary general of the United Nations, we have lots of hope on his role in this intervention in reorganizing the structures of the United Nations, that will be able to look into these issues and try to address them properly. We know that the previous special rapporteur of the United Nations on human rights in Iran did somewhat, it’s being criticized, it’s incomplete, they could have done better, but believe it or not, those reports have achieved a lot of positive issues. Because today we have on record that thousands of defenseless people were executed in extra-legal manners. So, we hope and we urge the new secretary general to revive the special procedures. I am sure that the new Secretary General will look into this matter and would give more importance and more power to this council, and also those who perpetrated violations of human rights will be banned from being members of this council. 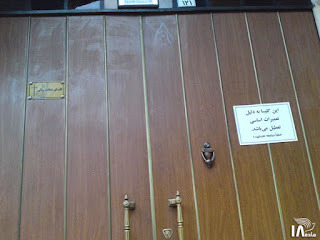 We will very soon present on behalf of the justice for victims of 1988 massacre in Iran, a report. This report will try to identify the crimes, the laws, the jurisdictions. The report will try to be as objective as possible, therefore it will not be an analytical report, it will be a fact-finding report. When this report is ready, we hope by the time the new secretary general will take his positions, the report will be on his desk. 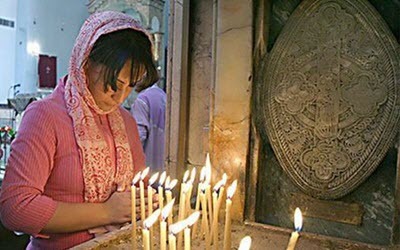 After the mullahs' regime took over in Iran in 1979 religious freedoms deteriorated in the country, according to an op-ed on Tuesday in The Hill. "The religious persecutions began and restrictions became more and more institutionalized. Many Christians and Jews fled. But some stayed in their native country, where they are given token representation in parliament so the Iranian regime can maintain the illusion of legitimacy." "The Obama administration did all it could to sell the nuclear deal as a victory, at best it has deferred the ultimate questions about how to deal with the regime in Iran, and at worst it has emboldened their belligerence in the region. A successful policy vis-a-vis the regime in Tehran has seemingly eluded Republicans and Democrats for the last 16 years," argued Donya Jam, an Iranian-American Christian and human rights activist. "In all fairness, it is time to try something new, for our own sake and for the sake of Iranians." "A common denominator underlying the rise of ISIS, and the spread of instability and fundamentalism is none other than the regime in Tehran. No one can deny this. Yet at every turn in the past eight years we were told that the only solution is one which engages the mullahs and strengthens their grip on power. The time for such thinking is at an end." "The regime has been reluctant to make good on promises of change, and thus far has continued its brutal repression of dissidents while maintaining an aggressive policy in the region. The question of how to guarantee a long term shift in the behavior of the Iranian regime remains unanswered. The only long term policy that can guarantee a fundamental change of behavior in Iran and that sets an example for hope and change abroad is one which recognizes the legitimate rights of the Iranian people to bring about democratic change and topple the theocratic fascist state in Iran." "It is time that the United States firmly aligned itself with the forces in Iran and in the Middle East which embrace democratic change, freedom and liberty, and secular governance. The Iranian people and their organized resistance should be our primary negotiating partners and allies, not the ruling mullahs." "The principal opposition to the Iranian theocracy, the People's Mojahedin Organization of Iran (PMOI/MEK) is one such organization. The MEK has long served as an example of an organization whose principal aim has been to combat Islamic fundamentalism and terrorism that emanates from it. Khomeinists engaged in widespread repression of the MEK, and the West remained silent as they executed tens of thousands of MEK activists." "Today the MEK is the most integral part of the National Council of Resistance of Iran (NCRI), a coalition of Iranian opposition organizations that support a secular future for Iran. One which guarantees freedom of speech, the rights of ethnic and as well as religious minorities, and calls for strict equality between men and women. 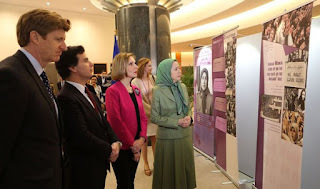 In fact the NCRI is led by a woman, Mrs. Maryam Rajavi, whose leadership and platform stands as the direct antithesis of Islamic fundamentalism." "Mrs. Rajavi advocates for a new future for Iran. This includes a ten point plan for a democratic secular republic free of nuclear weapons, capital punishment, and tolerant to all religions, ethnicities and ideas. This plan would not only end the threat of Iran’s nuclear program, but would usher in a new era of cooperation and stability between the United States and Iran, as well as the entire region. 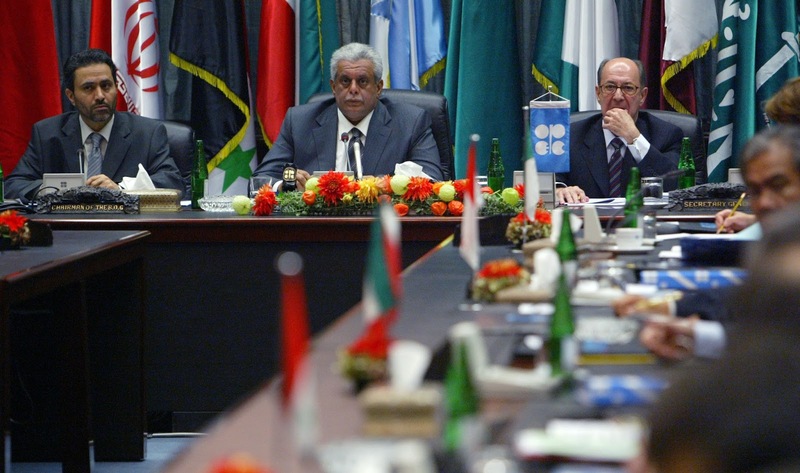 It would address instability from Syria to Yemen and all throughout the region." The new administration, the article pointed out, has a historical opportunity for a historical change in one of the hotspots in the world. The new approach is both moral and politically savvy. Maryam Rajavi: "…Aleppo Will Rise Once Again in Freedom and Prosperity Despite What the Criminals Have Done to Syria…"
NCRI - A conference was held on Saturday, November 26, in Paris, in the presence of Maryam Rajavi. Following is a part of this speech about Syria. Today, Khamenei has increasingly and deeply tied the fate of his corrupt regime to the carnage haunting the people of Syria. He tried in vain to justify the regime's aggression and bloodshed under the pretext of defending the Holy Shrine (of Hazrat Zeinab). Now, he is failing to unite even the internal factions of the regime over the continuation of this filthy war. The war in Syria has nothing to do with the people of Iran and their national interests. You heard chants of thousands of Iranians in their demonstrations commemorating Cyrus the Great in Pasargadae, who cried out, "I want to sacrifice my life for Iran, not the Gaza Strip, not Lebanon!" Because everyone knows that Khamenei's warmongering in Iraq, Syria and Yemen is only intended to maintain the veil of repression over Iran and to preserve the rule of the Velayat-e Faqih regime. I reiterate that, in diametric opposition to the mullahs, we and our people stand side-by-side with the courageous and honorable people of Syria. We consider their innocent children as our own and we feel their pain and suffering. 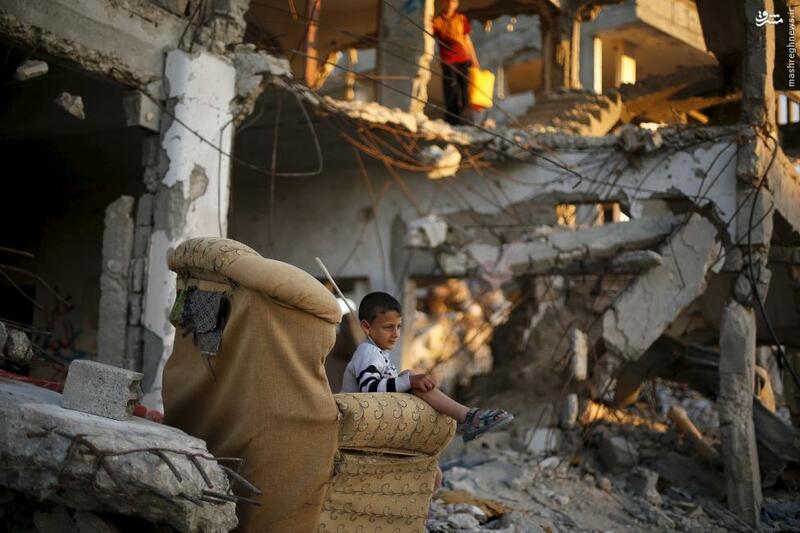 We shed tears for their devastated cities. We are restless because they are homeless. We see ourselves as the citizens of the blood-drenched Aleppo. Aleppo is one of the centers of civilization, which is now persevering under horrifying bombardments in continuation of its 6000-year legacy. Aleppo is the epitome of suffering and endurance of our human world; and Aleppo will rise once again in freedom and prosperity despite what the criminals have done to Syria and despite the shameful policies of appeasement. Syria is not alone. Syria lives in the hearts of the people of the world and no doubt it will triumph and it will be liberated. As for the present crisis in the region, any solution seeking to end war and instability and to address the problem of Daesh (ISIS/ISIL) in particular must factor in the need for ending the regime's meddling in the region and especially in Syria. 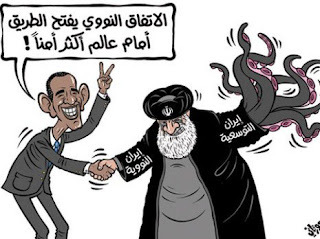 Nothing is more catastrophic than cooperating with the Iranian regime in the fight against Daesh. 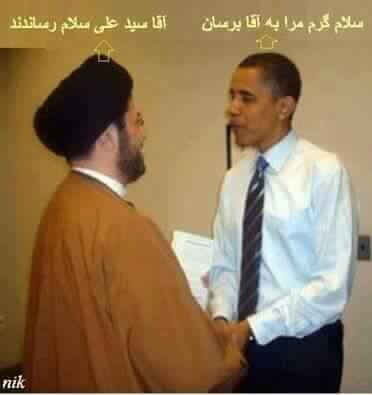 This would only strengthen the Iranian regime and support its terrorism while nourishing Daesh politically and socially. The fight against Daesh is inseparable from fighting the mullahs and the IRGC. The more the mullahs are pushed back, the closer Daesh will come to its demise. 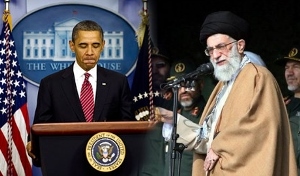 We urge all nations and states in the Middle East to evict the Iranian regime from the entire region. We also caution Western governments against giving any form of assistance to the crisis-riddled regime of Iran. We advise them against acting as a crutch for the crumbling Iranian regime by cutting deals with the IRGC. Instead, they should recognize the Iranian people's Resistance for regime change, freedom and democracy…. The day of freedom for the people of Iran and the day of peace and tranquility for the region is within reach.